Firstly, I apologize if you mistakenly clicked this link in a google search for the Spice Girls, though I do admit to owning and thoroughly enjoying their cassette tape once upon a time. However, I digress. While this blog pictures no Sporty or Posh Spice, it can help lead you in the right direction to acquiring a body just as great as the two…through the use of spices. 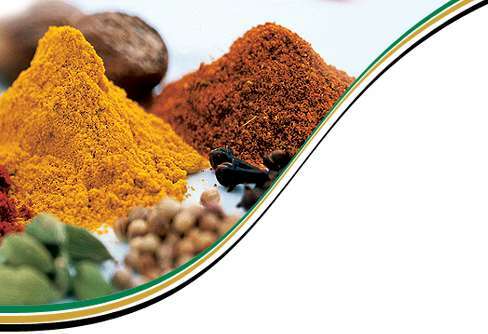 Spices and herbs can perform several health-boosting benefits such as lowering blood pressure, preventing several chronic diseases such as heart disease and certain types of cancer, as well as packing an antioxidant blast. Another benefit: Adding spices and herbs to your meals can be a great fattening flavor substitute. Basil, oregano, cinnamon, and garlic, just to name a few, are great low fat and healthy substitutes for butter, salts and sugars (a.k.a. empty calories). Not to mention spicy foods boost your metabolism and spices tend to have that spicy kick, hence the name. So what exactly are some good spices to flavor up your diet? Benefits: Cinnamon helps to lower LDL (bad cholesterol) as well as blood pressure. How to use it: I add cinnamon to just about everything I can. Try mixing a teaspoon of cinnamon in with low-fat cottage cheese with pears or cantaloupe. For breakfast, toast some whole wheat bread, spread with peanut butter, and top with a sliced banana and cinnamon. Benefits: Getting enough, garlic can actually kill caner cells. What exactly is enough? According to several studies, we should aim for 2 cloves a week. How to use it: The best part of garlic is it’s delicious and can be used with just about anything. Try sautéing vegetables in extra virgin olive oil and garlic. For breakfast, sauté garlic, onion, and spinach. Add some black beans, tomatoes, and whatever you choose to make an omelet. Top with salsa and Greek yogurt instead of sour cream! Benefits: Just as ginger ale does, ginger itself has a tummy calming affect and can decrease nausea; even the nausea caused by motion sickness. It also has helps relieve arthritic swelling. How to use it: A simple way to incorporate ginger into your diet is opt to pair it with your sushi. If you’re not in the sushi mood, try candied ginger alone or with vegetables or fruits. Benefits: Oregano packs a mean antioxidant punch (and it tastes good). Antioxidants, as we know from earlier postings, “The Scoop On Diets” and “The Scoop On Diets 2,” help to reduce inflammation and kill potential cancer causing free radicals. How to use it: Oregano is very simple to use. My personal favorite is adding it, as well as basil, to my eggs in the morning. Oregano is also great with salt and pepper added to chicken before it’s grilled. Want an easy way to incorporate oregano? Here it is: add it to anything Italian! Benefits: These spicy peppers are being studied for their metabolism increasing effects. Remember when you would ask your friend how they eat so much and stay so skinny, and their response was something along the lines of, “I don’t know, I guess I have a fast metabolism.” Well, now you can be that friend with the fast metabolism by giving it a kick with dried red peppers. How to use it: These peppers are great with dressings and marinades as well as on potatoes or in most Italian dishes. This entry was posted in Nutrition Facts and Tips and tagged cinnamon, garlic, ginger, health, herbs, oregano, paprika, pepper, spices. Bookmark the permalink.